The American Arbitration Association (AAA) has selected DFL Legal founding partner John Dingess as a Featured Panelist for the AAA’s newly established Mega Construction Project Claim panel. Only 21 arbitrators were selected as Featured Panelists. 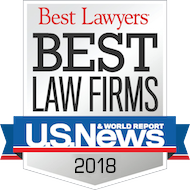 Mr. Dingess was selected as a top construction arbitrator based on his credentials and experience with construction mega projects as rated by counsel and construction industry professionals who specialize in construction mega projects. The rating committee was compromised of a diverse group of advocates and in-house counsel representing owners, contractors, design professionals and insurers with experience in disputes arising out of significant construction and infrastructure projects. For more information on the AAA Mega Construction Project Claims panel please click on the link below.